The theme for January will be habits and for this reason I’ve decided to link up with this theme with my series and word for the year: Grace. I need to make grace a “habit”. To always accept and acknowledge it. Please join me on this journey? What is a habit that you need to form? I love challenges and this week I’m taking part in Cee’s Share your world challenge. She posts some interesting questions and then you respond 🙂 This way others get to know you better. Do you have a signature dish? If not is their one in your family? I don’t have a signature dish. If I have to say I would say it is any kind of stew. My mom makes the best macaroni and cheese. Do you have a favorite board game? I looove board games. I would say Monopoly is my all time favorite. Is there a household chore that you enjoy? I like washing dishes. But not drying them! Since my elbow injury I have a dishwasher now. What is one thing you will never care about? I’m not sure. I like to do research and know things. Mmm I’ll come back to this one when I’ve thought of something. Bonus question: What are you grateful for from last week, and what are you looking forward to in the week coming up? I am grateful for Christmas and the fact that our Savior came to earth. I am looking forward to 2015. Can’t wait to see what it brings. A manifestation of FAVOR by a SUPERIOR. Who is our superior? Your boss can be seen as your superior, people in leadership can be seen as your superior, but today I’m choosing to focus on God as our Superior. Grace is a gift that you get without doing something for it from God. From these two verses we can KNOW that God gives favor. His grace to those that belong to His Son Jesus Christ. This favor is eternal life and forgiveness of our sins. To belong to Jesus Christ is the most important aspect of my life. What a comfort to know that God is with me always and that through His Son I have eternal life. To read my testimony you can go here. If you read here and you do not know Jesus as your Savior yet all you need to do is say a prayer and talk to Jesus and ask him to be a part of your life. If you do not want to do it alone go to a Christian friend or church they will surely help you. Otherwise you can contact me. I feel amazed and thankful that I can go into the new year with the knowledge that Jesus Christ is with me especially since the events surrounding Christmas are still fresh in my memory. How does it make you feel to know that God gives His grace through His Son? 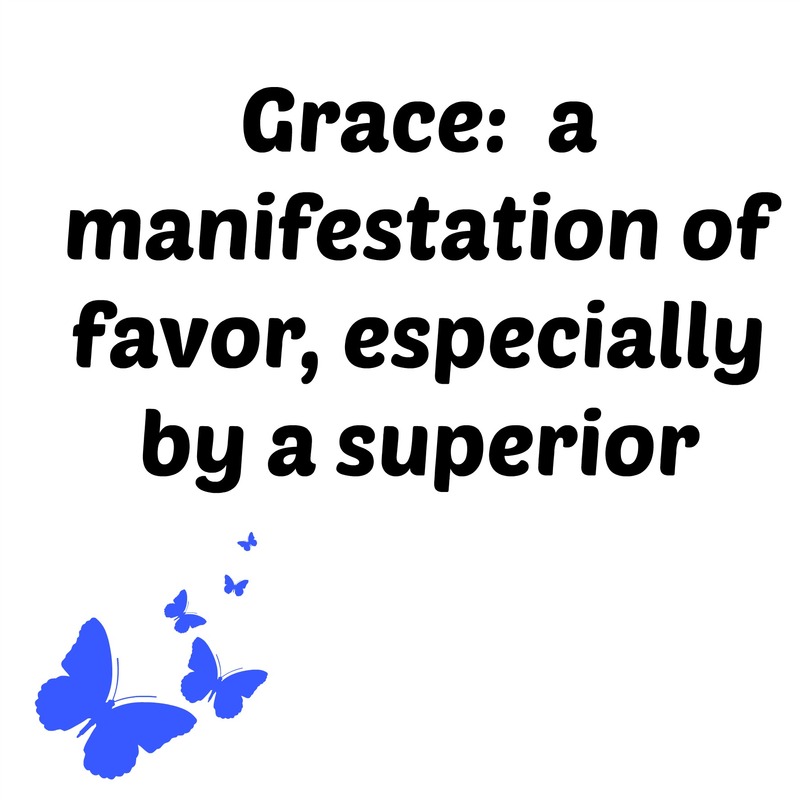 Day 2: What does grace mean? We watched her skate with effortless grace across the ice. Synonyms: attractiveness, charm, gracefulness, comeliness, ease,lissomeness, fluidity. Antonyms: stiffness, ugliness, awkwardness, clumsiness; klutziness. He lacked the manly graces. Synonyms: kindness, kindliness, love, benignity; condescension. It was only through the dean’s grace that I wasn’t expelled fromschool. The life insurance premium is due today, but we have 31 days’ gracebefore the policy lapses. 3.favor shown in granting a delay or temporary immunity. 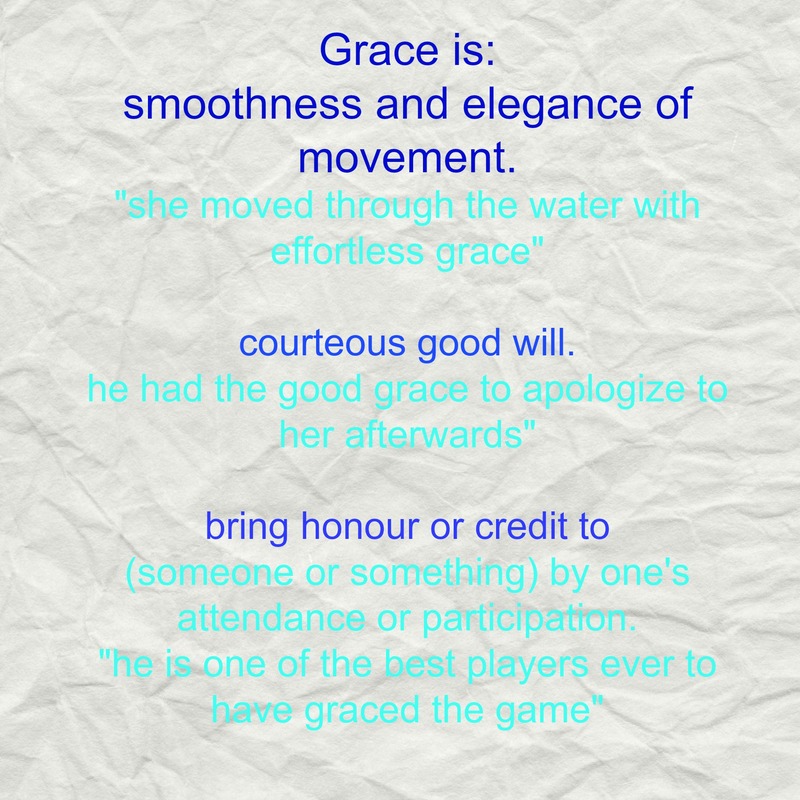 5 Grace is smoothness and elegance of movement. 7. Bring honour and credit to. 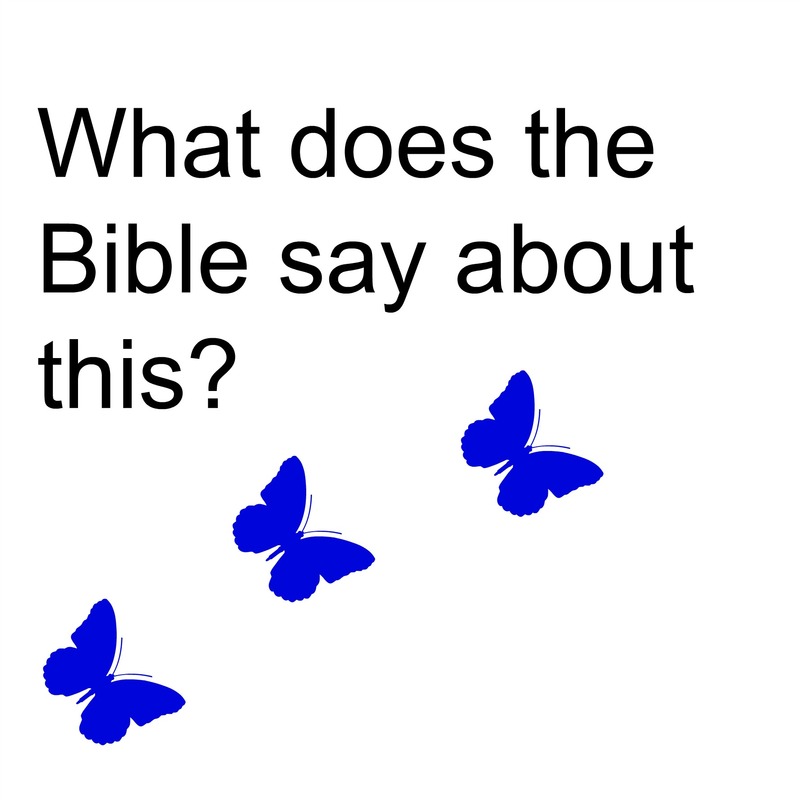 What do you think about when you hear the word “grace”? 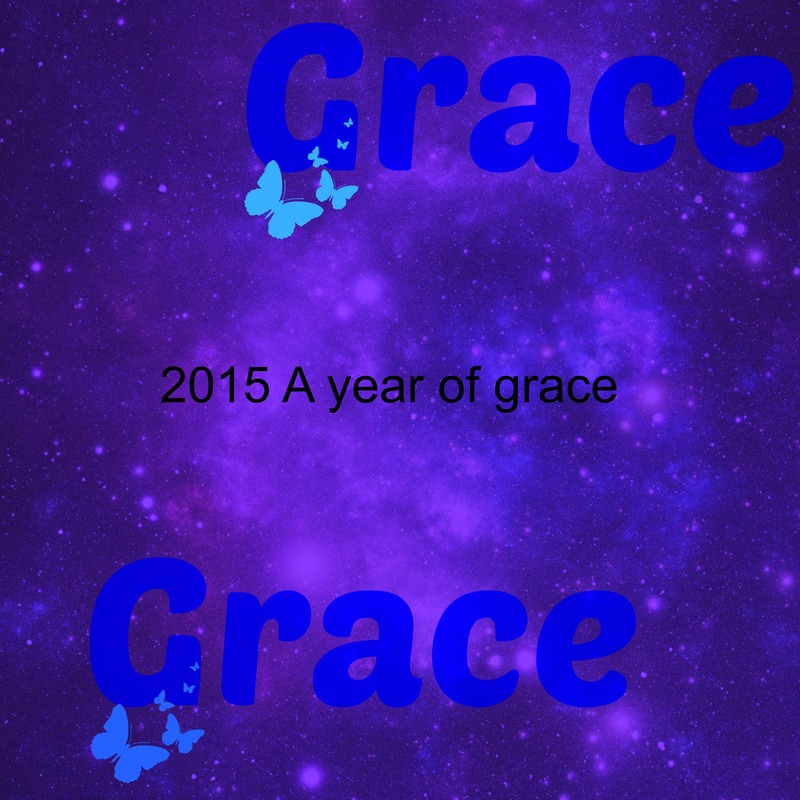 Posted on December 27, 2014 December 28, 2014 Categories 2015 a year of graceTags 2015 a year of grace, grace3 Comments on Day 2: What does grace mean? I’ve decided to join One word for 2015. The word I’ve chosen is grace because it is something that I’ve thought about a lot since October. In October I did a series 31 Days of blessings and that made me realize the amount of grace that I’ve received from God as well as the amount of Grace that I need. Please follow me on this journey in 2015. For a list of posts in this series please click here. Day 5: Favor shown in granting a delay or temporary immunity. Day 7: What Esther teaches about grace. Day 10: Who needs grace?